Gino Valentino Wool/Silk suit perfect for year round use. 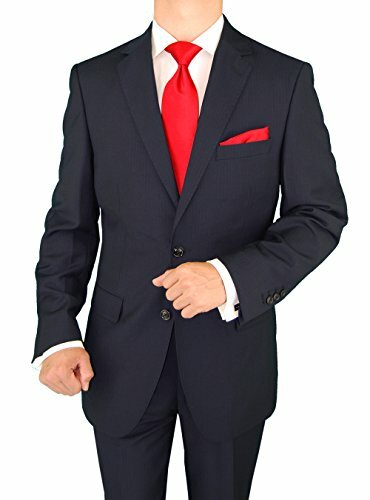 This suit features a modern business cut. The jacket has a 2 button single breasted canvas front, dual side vents and 2 pockets with flaps, high quality lining with logo. Working sleeve button holes are featured and the lapel is notched. Slacks are flat front and lined to the knee. Trousers come unhemmed in a 6 inch drop. The waist can be altered up to 2 inches in or out. 100% cotton waistband for reinforcement, 2 besom side pockets, 2 besom back pockets with buttons and 6 belt loops. Dry clean. If you have any questions about this product by Gino Valentino, contact us by completing and submitting the form below. If you are looking for a specif part number, please include it with your message.